JEFFERSONVILLE, Verm. — The weekend at Smugglers’ Notch Resort transformed from a casual gathering of the world’s best golfers into a full-on culture rager. Taking into account everyone I spoke with, I don’t think there was a single disc golfer left in the northeast that wasn’t in attendance. It started on moving day Saturday. Slowly the crowds started to grow and you could see more people in groups hanging around tournament central with a Pro Worlds stamped disc in their hands, pointing out a passing pro with a hushed reference to a nearby friend on who it was. The wind had kicked up which made Fox Run Meadows play especially tricky for the Open Women’s field, but the men were in the woods at Brewster Ridge. Paige Pierce was on a run and gaining ground on the lead; she was the only woman making the move in the division. Paige Bjerkaas was still in first but the conditions were wreaking havoc on her putter-heavy game plan. One of the tensest moments of the FPO round was on the final hole. There was a gasp from the pro shop patio as what everyone assumed was a lay-up attempt by Bjerkaas buzzed by the basket on hole 18, hitting chains to luckily slow it down. I was planning on hopping between some the Open cards as there wasn’t much separation between the leaders all the way down to cards three and four, and it would only take a hot round to get back into contention for the final day. The third card was interesting, with Ricky Wysocki headlining. No one was able to keep things clean, however. Just ahead though, Nate Perkins was shredding. There were only a couple of people following the group, so I tucked my media pass momentarily under my shirt as to not alert my presence to the hot hand. Luckily, Perkins kept up his pace and I was able to slip back into my professional demeanor. It was only on hole 11 that I questioned my influence on the card. I attempted to capture three long birdie tries. Each missed. Am I the Cooler? Barry Schultz was also on the card and I got to talking with the UDisc scorekeeper as I did a lot over the tournament. His name was Roger and he was from New Jersey by way of Wisconsin. When he was in the midwest, he played a lot with Schultz who partly inspired him to come out to Worlds, and definitely inspired him to pitch in. “He’s always volunteering so I do too whenever I can,” Roger said. Even though Perkins was not slowing down, James Conrad and Paul McBeth were putting together nice rounds as well, and a couple strokes closer to Gregg Barsby, Josh Anthon and Paul Ulibarri. I intercepted them at hole 16. It was at this time that McBeth started getting into trouble on the course. Conrad stayed hot and McBeth almost pulled out a couple tricks. After an almost miraculous birdie save from a wooded, right side creek bed on hole 17, another young woman had an equally entertaining quip as the lad on hole 13. “If he had made that I would have died,” she exclaimed. It was hard to tell if it would have been out of elation or despair. Made sure to catch a couple holes of the leaders, and hung around the course for a while as the sun set and the Upshot recorded. Barsby was again the last pro to leave the area, and it was great to see the amount of fans playing the courses after the pros were done for the day. Nothing like getting a par on a hole you watched a pro take a bogey on earlier. FallFest was in night two back at the resort but because I was out there for y’all, I was writing and preparing for what would be an emotional day out on the course Sunday. Sunday was the earliest day for me as you can’t miss any of the final day action. The wind was still present but had died down and wouldn’t cause too much of a hassle during round five. We don’t need to recap what happened during the round, this being a couple days after the event and all, but there were still some moments that may not have come across on the broadcasts. The presence of Bjerkaas’ parents cannot be overstated. I’ve never seen two people more proud of someone on a disc golf course. Both were affectionate and supportive. At one point during the back nine, her father, Doug, remarked he didn’t know the last time he couldn’t tell you the kickoff time of the Minnesota Vikings game, and he hadn’t even set his fantasy football lineup. After Bjerkaas’ celebration had died down it was off to follow the leaders on the Open cards. Again it was McBeth who came out hot, and Matt Orum was sharing the chase card with him and also playing well. I followed them as best I could, and by that I mean those dudes walk fast. I’m not short — 6 feet tall — and am generally a pretty quick pacer, but all day I felt like I had to jog down the fairways, which considering how far those guys throw, was usually a long way to speed walk. 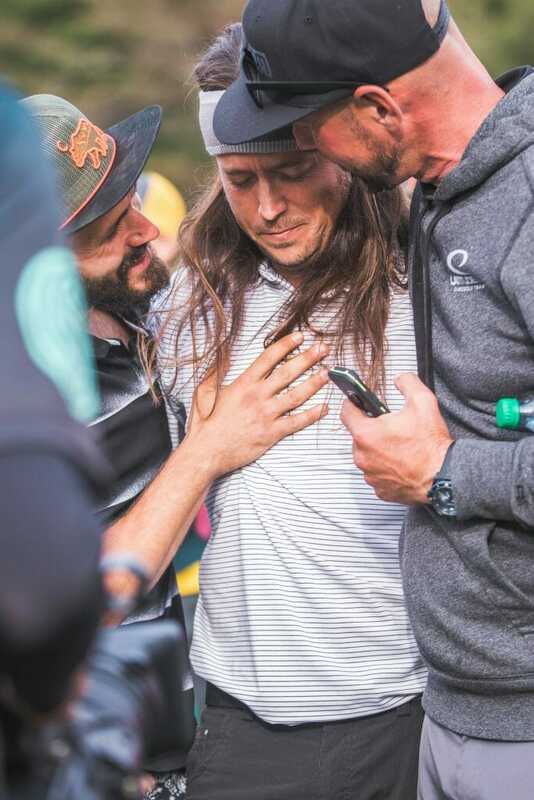 I got to walk with Barsby on the last couple holes, and when the moment hit him on hole 18 that he was going to be the 2018 World Champion, it simultaneously reverberated through the crowd. The fans all weekend seemed to ride Barsby, and he gave everything back he received. He was the last pro at the course every night, spoke to every person who came up to him like he’s known them forever, and made the award ceremony be pushed back as he wouldn’t stop entertaining the people. I have to be impartial when on assignment, but to say I wasn’t cheering for Barsby too at that moment would be a lie. 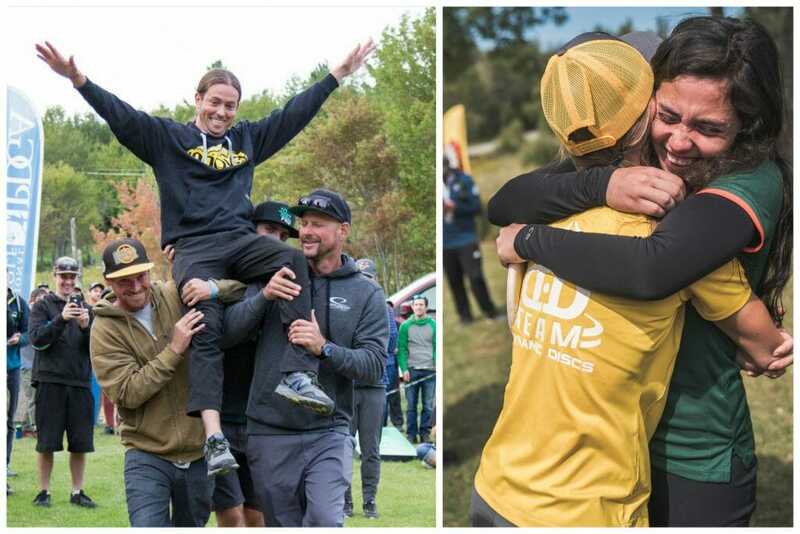 Comments on "Pro Worlds Notebook: It’s All About The Energy You Surround Yourself With"